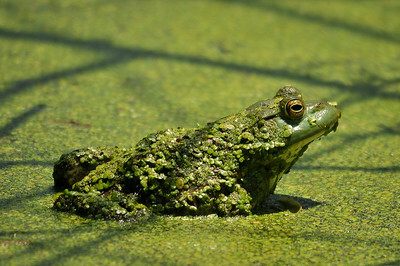 Amphibians are cold-blooded and live both on land (breathing with lungs) and in water (breathing through gills) at different times. 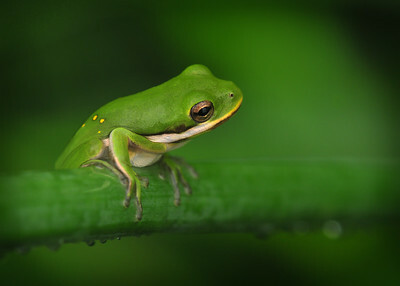 Three types of amphibians are frogs and toads, salamanders, and caecilians. Climbing towards the warmth of the sun. 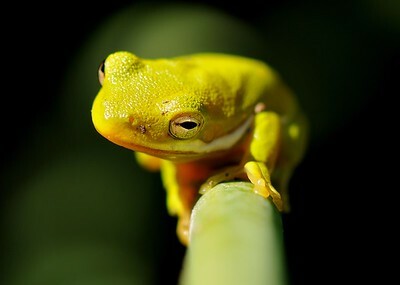 Taking a midday nap as only an American Gren Tree Frog can. 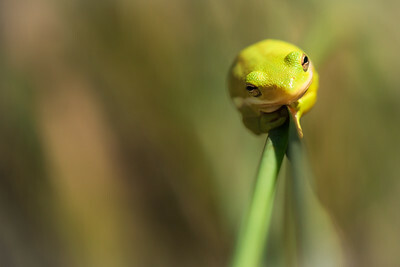 Just floating in the breeze, an American Green Tree Frog rest quietly enjoying life. 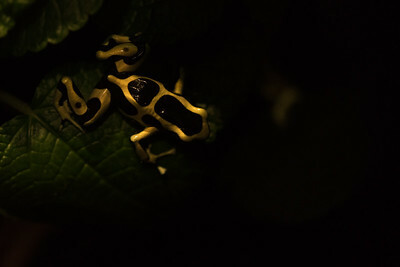 Wonderful lighting to showcase a beautiful frog species. 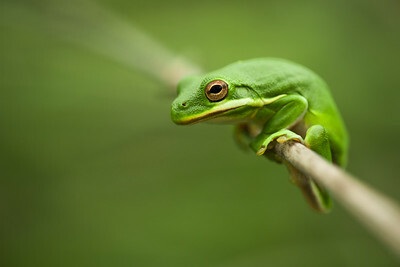 The always nimble American Green Tree Frog pivots on a twig like a acrobat on a high wire. 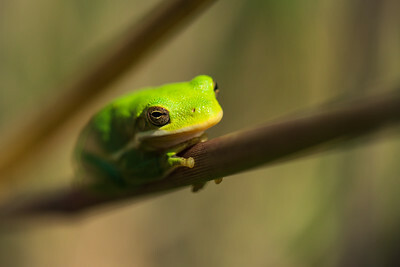 Abut the size of a quarter, this very small tree frog species camouflaging himself into tall reeds that make up his wetland home. 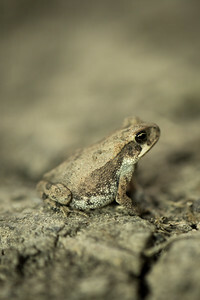 No bigger than roughly the size of a quarter, I decided to get very low with my camera to capture all the intricate details of this fine Texas Toad. 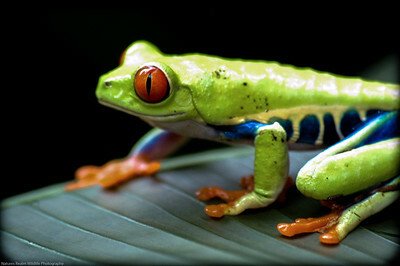 A Red Eyed Tree Frog crosses a jungle leaf. 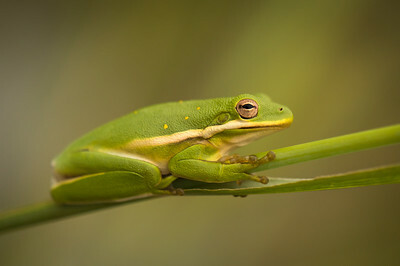 On an inclement day in Texas, a Green Tree Frog is enjoying a break from the heat. 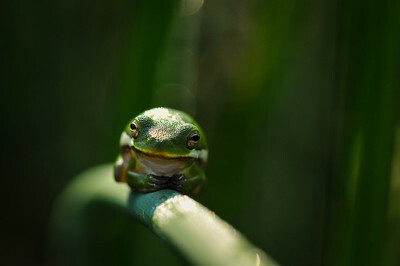 An American Green Tree Frog rest comfortably in his marshy domain as the warmth of the early morning sun saturates his tiny body. 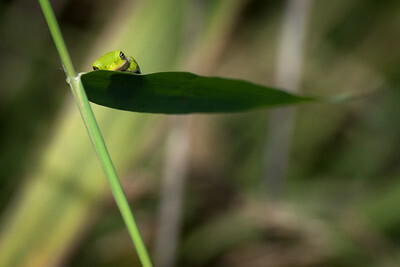 A tiny frog species no biggie than an inch sits on the bank of Caddo Lake as the afternoon sun bakes the landscape. 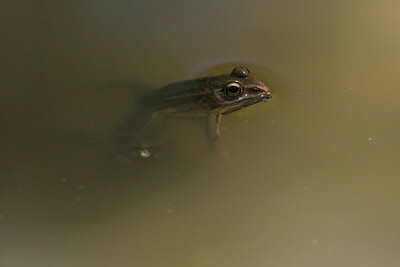 Concealed within very murky water , a Leopard Frog cautiously raises his head above the surface. 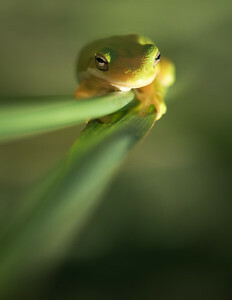 An American Green Tree Frog warms himself as the newborn sun saturates the landscape. Poison dart frog is the common name of a group of frogs in the family Dendrobatidae which are native to tropical Central and South America. 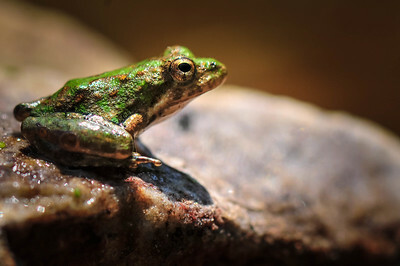 These species are diurnal and often have brightly colored bodies.